The first time I was ever introduced to the African culture, was when I watched the mini-series and read the Pulitzer Prize winning book ‘Roots’ by Alex Haley. Both the book and the mini-series ‘Roots’ taught me the importance of never losing sight of who you are and where you came from to understand where you need to go in the future. The culture that existed in Africa shown in the mini- series and read about in the book was one of beauty, respect, and royalty. Rich with traditions and beauty, it seemed as if those of who lived in Africa celebrated life for the beauty of today. The African culture respected their enemies and appreciated the beauty of the world around them. The soundtrack to the movie ‘The Power of One’ involved an African Choir. In high school when I needed motivation or to feel comforted their voices were my salvation. The music comforted my heart like a warm blanket to soothe my emotional pain. As the music continued, my pain was converted to motivation. The high notes of the choir echoed my heart screaming in pain. The rhythm of the music or the vocals encouraged me not to float into fantasyland rather the music helped me to work through the pain. When I feel it is impossible to wake up or live another day, I go back to the African-American culture, their music, and their history to give me strength. For a Sophisticate to understand what Kwanzaa means, she also needs to understand what it means to gain strength from her past as well as her ancestors to create her future. 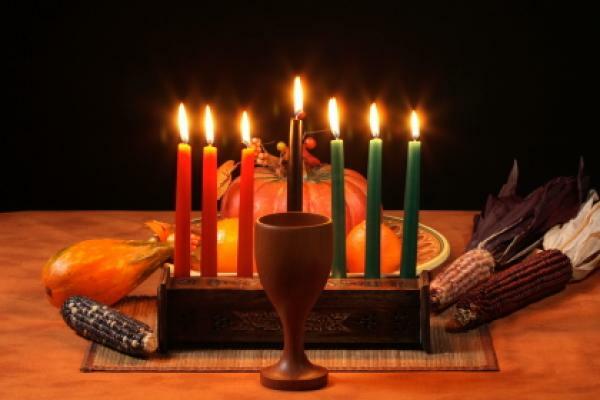 Kwanzaa consists of seven days of celebration, featuring activities such as candle-lighting and pouring of libations, and culminating in a feast and gift giving. It was created by Maulana Karenga and first celebrated from December 26, 1966, to January 1, 1967. 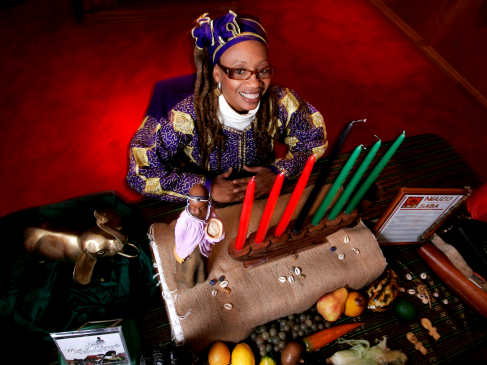 Kwanzaa is a week-long holiday celebrated throughout the world, honoring African heritage, marked by participants lighting a Kinara (candle holder). It is observed from December 26 to January 1 each year. Dr. Maulana Karenga, professor and chairman of Black Studies at California State University, Long Beach, created Kwanzaa in 1966. After the Watts riots in Los Angeles, Dr. Karenga searched for ways to bring African-Americans together as a community. He founded US, a cultural organization, and started to research African "first fruit" (harvest) celebrations. Karenga combined aspects of several different harvest celebrations, such as those of the Ashanti and those of the Zulu, to form the basis of Kwanzaa. Karenga said his goal was to "...give Blacks an alternative to the existing holiday and give Blacks an opportunity to celebrate themselves and history, rather than simply imitate the practice of the dominant society.“ The name Kwanzaa derives from the Swahili phrase "matunda ya kwanza", meaning "first fruits". The choice of Swahili, an East African language, reflects its status as a symbol of Pan-Africanism, especially in the 1960s. Karenga sought to design a celebration that would honor the values of ancient African cultures and inspire African Americans who were working for progress. A Sophisticate celebrates Kwanzaa because she knows there is a time to reflect on the history of her ancestors and give respect to the african culture that is part of her. Kwanzaa is a time to reflect on the past either the spirit of those who came before her and what is inside of her to channel hope for the future. With the spirit of the Harvest and respect for nature that her ancestors understood, Kwanzaa is a time to prepare her for the future. For every Sophisticate, Kwanzaa is a time for her to reflect on what has been done in the past and reflect on how to create her future. 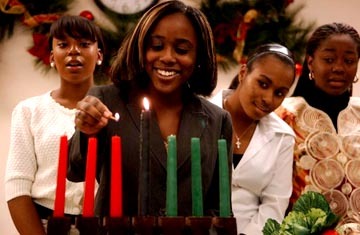 Kwanzaa is the call to action to support, help, and educate those around us. 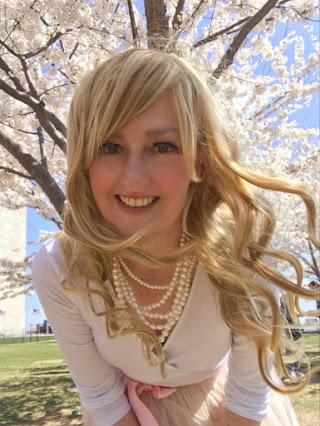 A Sophisticate respects her enemies and understands that she has a responsibility to others whether it is through help or respect. The Symbols: Mazao (The Crops) symbolic of African harvest celebrations and of the rewards of productive and collective labor. Mkeka (The Mat) symbolic of our tradition and history and therefore, the foundation on which we build. Kinara (The Candle Holder) symbolic of our roots, our parent people – Continental Africans. Muhindi (The Corn) symbolic of our children and our future which they embody. Mishumaa Saba (The Seven Candles) symbolic of the Nguzo Saba, the Seven Principles, the matrix and minimum set of values which African people are urged to live by in order to rescue and reconstruct their lives in their own image and according to their own needs. Kikombe cha Umoja (The Unity Cup) symbolic of the foundational principle and practice of unity which makes all else possible. Zawadi (The Gifts) symbolic of the labor and love of parents and the commitments made and kept by the children.